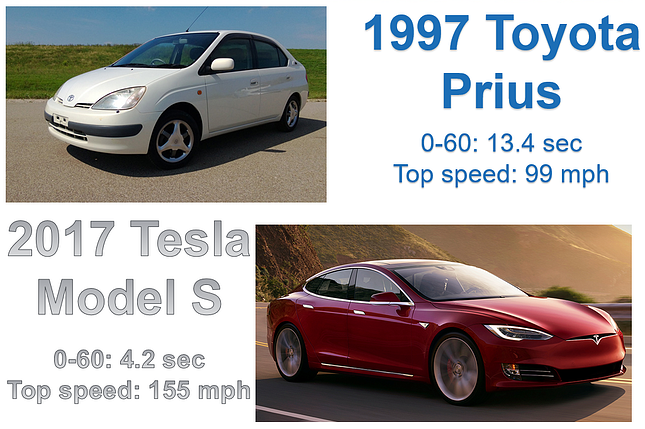 In this blog post we’ll discuss how you can take advantage of Multi-Threading to take your TM1 Model performance from a Prius to a Tesla Model S.
As you may know, the foundations for TM1 (Planning Analytics) as we know it today were built over 30 years ago… and just as other technologies have evolved over that time period the TM1 engine has seen vast performance improvements over its evolution. With the latest versions of TM1 (10.2.2 +/Planning Analytics), IBM has developed technology which supports Multi-Threading capabilities which can take advantage of the raw horsepower of server processors of today. Why is my CPU utilization never close to 100% when we’ve got a large number of processors available? We have a lot of cores available to TM1, so why are our views/reports running so slow? Why does my TI Process take so long to move data between cubes? If so, you may be a great candidate to apply some simple updates to your TM1 Configuration to allow for Multi-Threading on your model. Multi-Threaded Queries allow TM1 to automatically load balance your application by splitting queries to be into multiple processing threads. Each of these threads, run on an individual core which allows for the model to take advantage of all the processors available. This action can greatly improve efficiency and processing time for large queries and rules. With the latest release of Planning Analytics Local (TM1) there are a number of Multi-Threading parameters available for configuration. By appropriately applying these configuration settings you should be able to see a number of improvements in View and Report Retrieval, Server Restart Times, Rule Saves, and View Based Turbo Integrator processes.